International Women’s Day… and Cycling. A very happy International Women’s Day to you all! On this most excellent day and also the centenary of the Women’s Suffrage Act being passed, we would like to share some facts on women and cycling with you to celebrate. Did you know that the bicycle is considered instrumental to the emancipation of women? Not only did the transportation and independence it provides give immense freedom to women at the turn of the century, but it was also central to many of the campaigns run by the suffrage movements. The Cycling Scouts division, for instance, was formed in 1907 to help spread the message of suffrage wider afield to urban areas. Thanks to the bicycle the ‘Rational Dress Society’ was formed in the 1881. Their aim was to tackle the restrictive clothing that women were expected to wear, corsets and such, that made cycling er… somewhat difficult. As a result of this society, bloomers were born, allowing for more comfortable riding for women. Saying that, it was expected that these be covered by long dresses or coats to preserve one’s dignity – a long way was still to go before lycra was to become acceptable! Reaction to the freedom that the bike was clearly affording women was not initially positive, in fact it could be characterised as somewhat panicked. Some medics around the turn of the century warned about an ailment they termed ‘Bicycle Face’. The symptoms included bulging eyes and tightened mandibles, an increased libido and higher risk of TB. All of this resulting from the “continued strain to keep the device balanced while being ridden”. Don’t go without a needle, thread and thimble. Don’t appear to be up on ‘records’ and ‘record smashing’. That is sporty. I’d like to thank a wonderful group of women at the Glasgow Women’s Library for bringing a lot of this history to my attention via their annual Women’s Heritage Bike Ride. Their next one is on the 12th of May and I would highly recommend it. 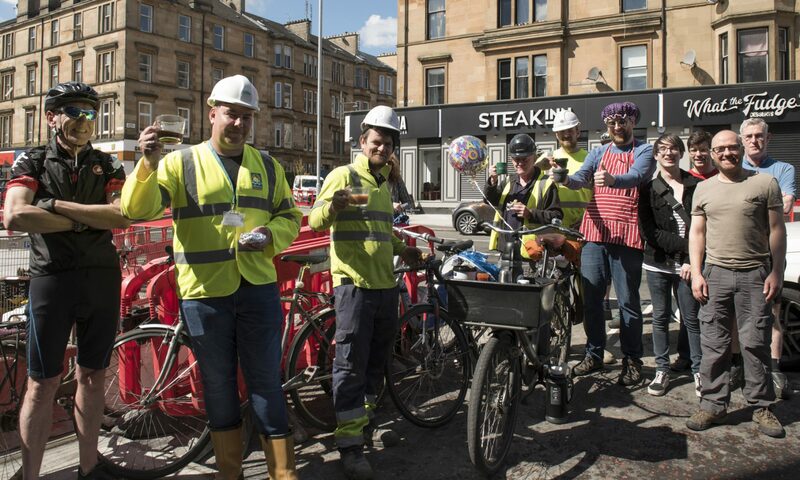 Next PostNext New cycle parking for Glasgow – thanks to GoBike members!